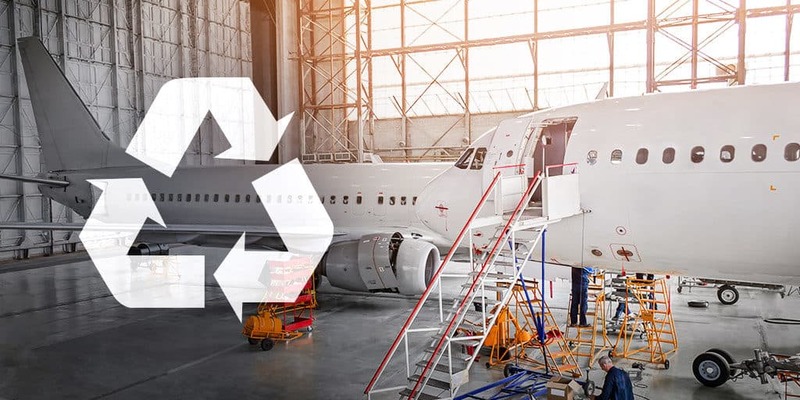 We’ve written a fair amount about the benefits of aircraft recycling in the past few years, because we think that aircraft recycling and the mindset behind it will have a significant impact on the entire aerospace supply chain over the next 20 years and beyond. These changes will not only affect how aircraft are dealt with at the end of their useful life, but what materials are used throughout the aircraft, and even how the planes are developed and designed. Recently, we were able to share our thoughts with American Recycler magazine, which published an article on the challenges and opportunities driving the aircraft recycling sector, written by Proponent’s own VP of Materials Management, Annette O’Neal. You can read the full article here. But, as often happens in the swift-moving world of aerospace, when we were preparing to share this article, we got excited to share some recent developments in aircraft recycling that weren’t included in the original article! Is China Leading the Way on Aircraft Recycling? In June 2017, China opened a 3.2 million sq. ft. recycling facility in Heilongjiang, the first of its kind in Asia. Until the fall of 2017, when it passed its “National Sword” policy, China was responsible for nearly half of the world’s recycling activities, with most of the world’s developed countries exporting their recycling to China for processing. While this shift may be bad for the countries that had been reliant on China for their recycling needs, it’s a positive step for China, which instituted the measure “for the protection of the environment and people’s health” – a significant evolution from the Chinese mindset on sustainability even five years ago. All of this is just to say that while there are financial benefits to aircraft recycling, China’s move into this sector could also signal a shift in the global aircraft recycling market and the general mindset around end-of-life aircraft planning. Right now in aerospace, there’s something of a “where goes China, there goes the world” attitude – with the Pacific Asia aerospace boom driving record growth throughout the entire industry, and with China’s explosive growth over the past 30 years acting as a template for ambitious developing countries. So, even the most mundane actions by China can have a global ripple effect. Ten years ago, it would have been laughable to consider that China would be at the forefront of any sort of sustainability efforts, but – as with many other undertakings – once the country sets its sights on something, it moves with incredible force and speed. China’s shift toward sustainability in all areas will be great for the world, and we are excited to watch how their entry into aircraft recycling plays out.